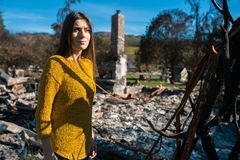 Woman at burned ruined house and yard, after fire disaster. 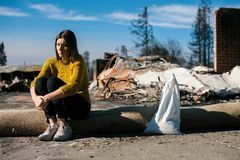 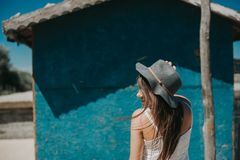 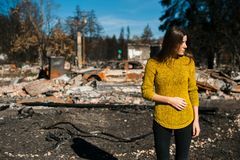 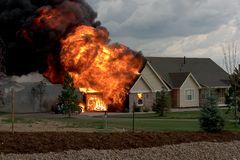 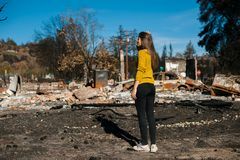 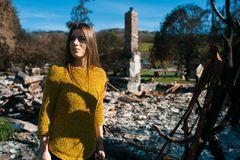 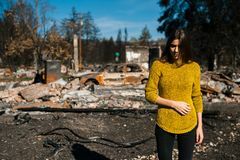 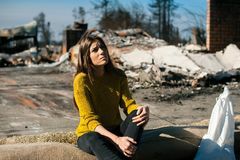 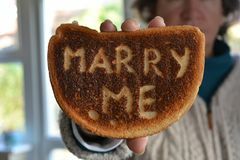 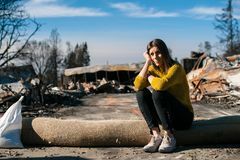 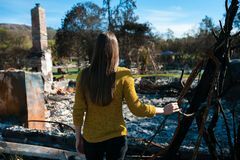 Sad young owner woman sitting in front of burned ruined house and yard, after fire, consequences of fire disaster accident. 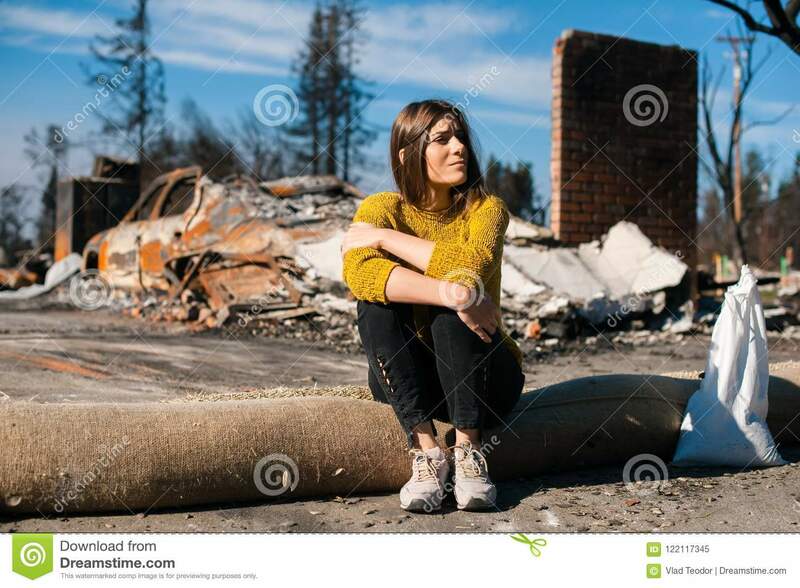 Ruins after fire disaster, loss and despair concept.